key lime pie in a milkshake! grind the graham crackers into crumbs, and add the butter until just moistened like wet sand. in a large bowl, using a hand mixer, mix the heavy cream until stiff peaks begin to form. add the powdered sugar and mix until sweetened and stiff peaks return. place all of the ingredients into a blender and turn onto low, mixing until just combined. 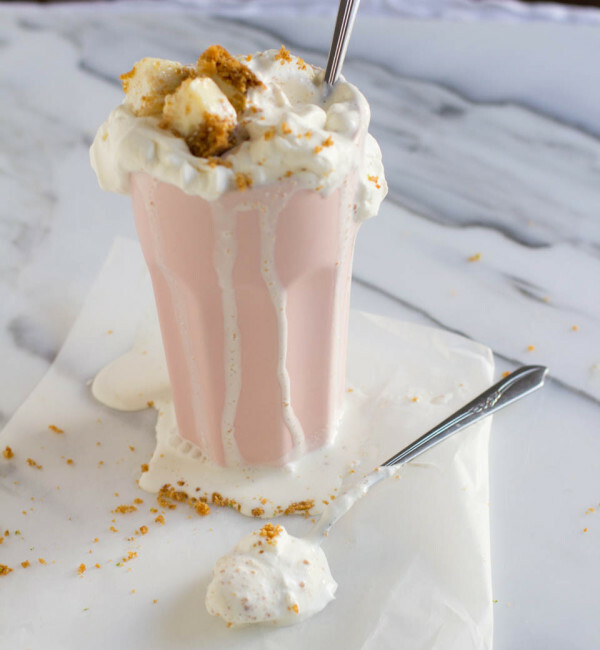 pour into a large glass and top with whipped cream and graham cracker crumbs.